Oversized cardigan can be really cozy and a life saver during flights especially when you want to be comfortable. 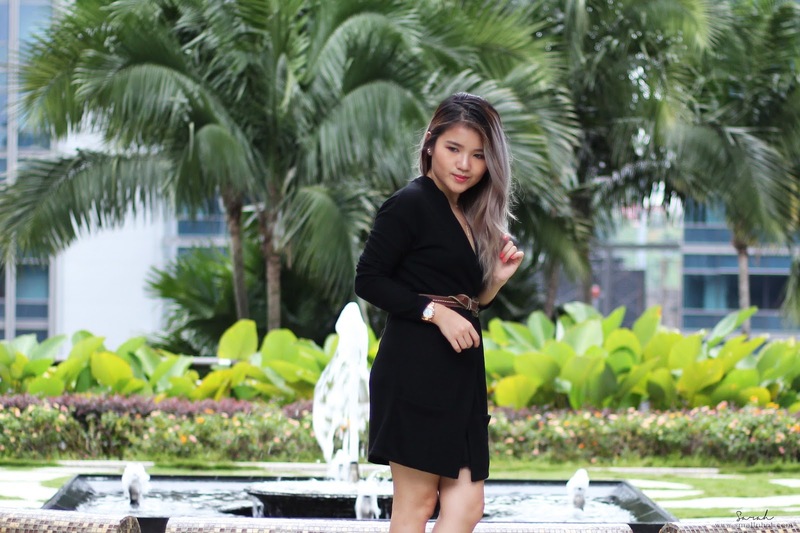 However the weather right now doesnt seem to be fit for such layering so I decided to spice up this oversized black cardigan from Smash into a day dress. Just throw on a thin black slip inside and belt it up with a vintage brown belt for a casual yet chic day look. As you may know I am a gold tone kind of girl, so I added a statement gold Klaus Kobec watch and some dainty double layer necklace to give a little detail to the look. Super simple yet stylish. 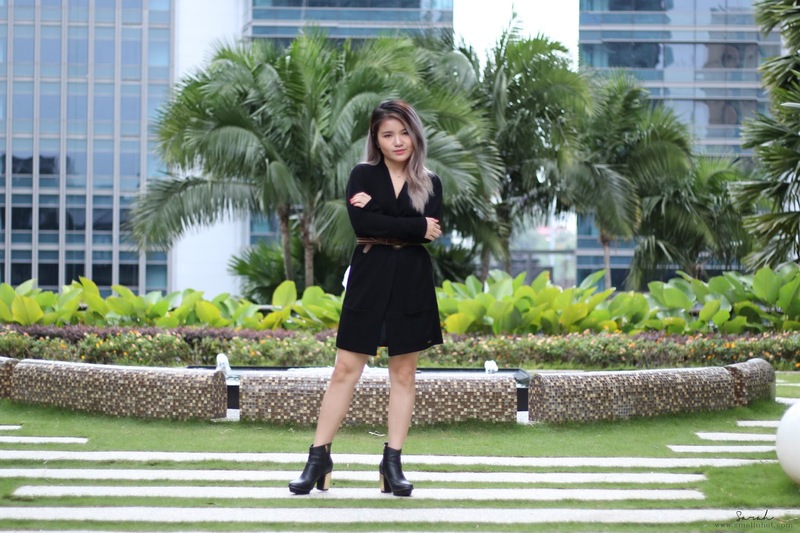 Cardigans are a staple piece in my wardrobe because you can easily dress it up or dress it down just like that. No matter how busy I am, I don't like looking sloppy and would throw on something simple like a tank dress inside, then a cardigan and a pair of boots to look polished. In case you are wondering, Smash Autumn Winter Collection is available at Robinson @ The Gardens Mall & ISETAN @ Suria KLCC, as well as Zalora.